Vinyl ester resins provide superior resistance to an extremely wide range of chemicals. The patented vinyl ester formulation provides better hydrolytic stability and is more chemically resistant than epoxies, polyureas and polyester resins. ENCAP6 primers are specifically designed to chemically bond to both steel and concrete surfaces. Their adhesion capabilities are exceptional when compared to any other polymer lining technologies. 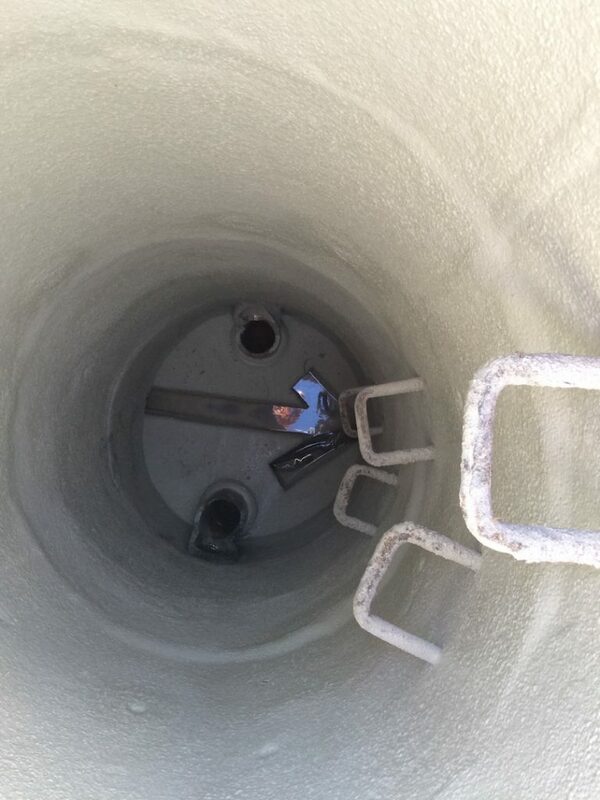 Chemical bonding (and in the case of concrete, also effective mechanical bonding) is essential for long term protection as the bond eliminates the micro-spaces where corrosion starts to occur. 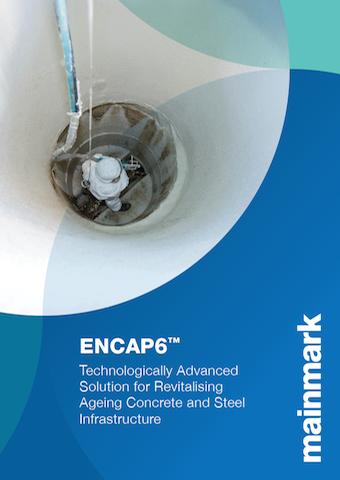 ENCAP6 is able to permeate, fill and stabilise small cracks, gaps and seams in a single application. 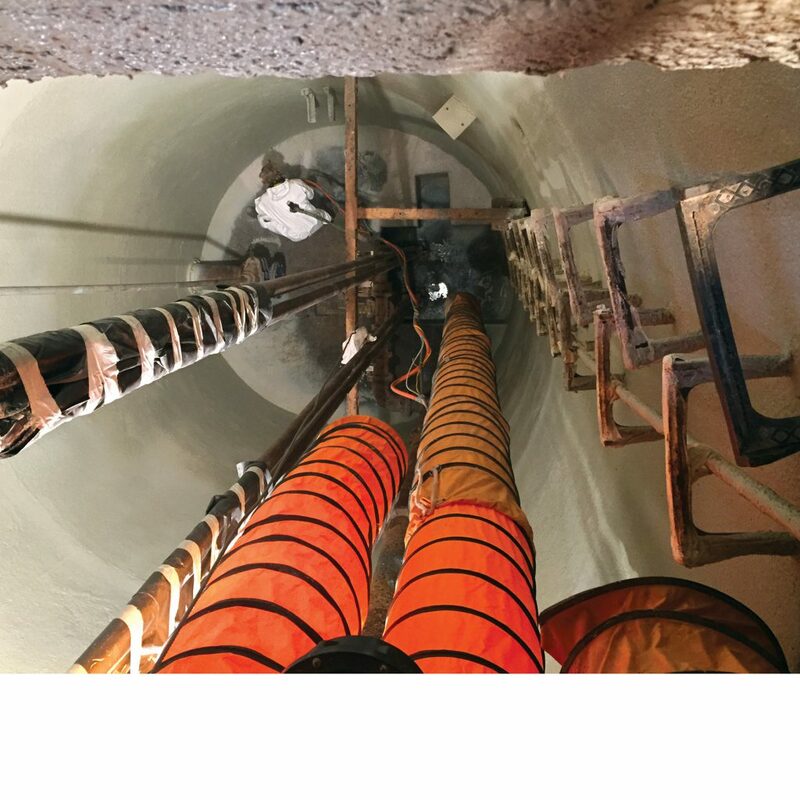 Larger gaps are repaired with compatible fillers that effectively bond to the new ENCAP6 liner to meet or exceed EPA requirements. ENCAP6 corrosion protection offers a hard-wearing surface that has substantial abrasion and impact resistance. Ultra-hard-wearing specialist formulations are also available on request to meet site-specific needs. 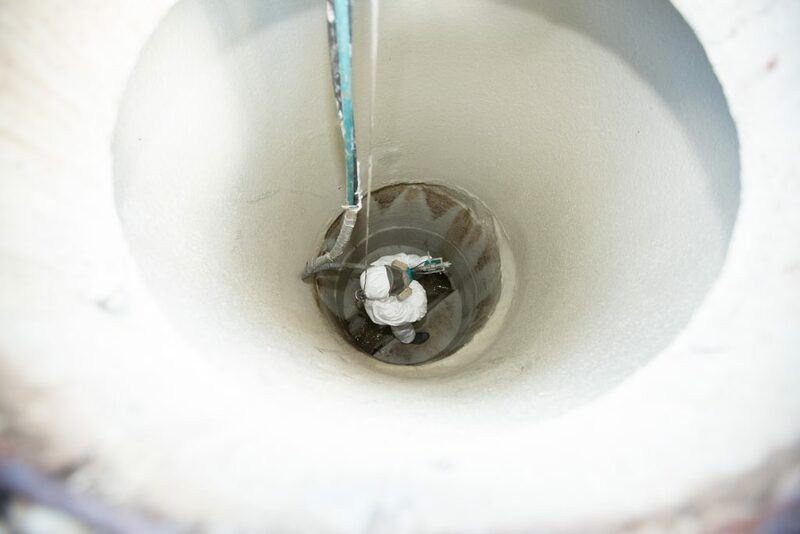 ENCAP6 has a high degree of hydrolytic stability compared to other polymer solutions, which guarantees a longer service life when in contact with moisture, water or chemicals. The patented formulation of ENCAP6 is based on a microfibre infused vinyl ester resin that has remarkable structural properties and can be applied to any requisite thickness, depending on the structural performance that is required. It can be either used as an anti-corrosion spray or applied with layers of glass fabric to deliver specified, engineered outcomes. 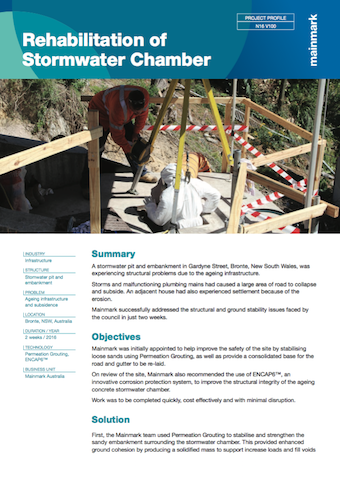 ENCAP6 delivers significant labour and cost savings compared to traditional methods, while halving the time of revitalising and rehabilitating infrastructure assets. With its advanced chemical formula ENCAP6 is extremely durable and can withstand substantial abrasions. 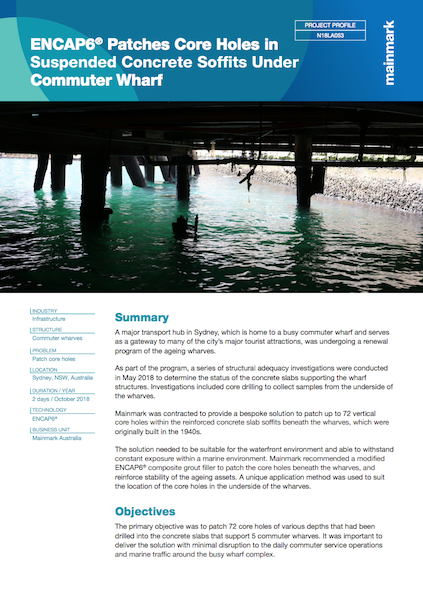 *Traditional methods refer to complete replacement of existing assets. 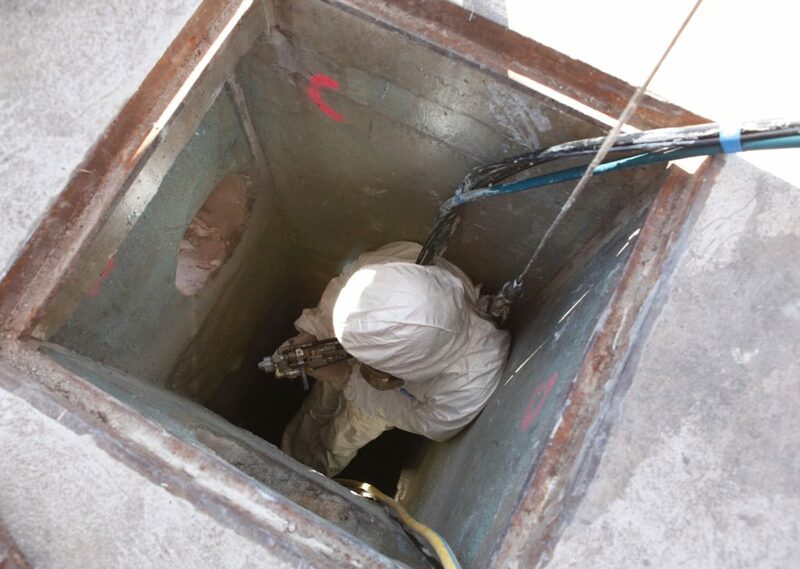 Mainmark is commited to providing engineers and professionals with technical support. Drawing notes and other technical product specifications are available for your reference.